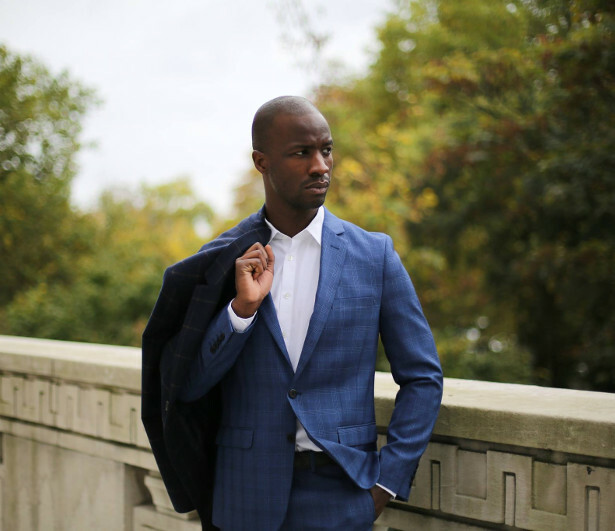 Father’s Day Gift Guide Part 3. For Dads who love healthy fit and outdoor lifestyles! 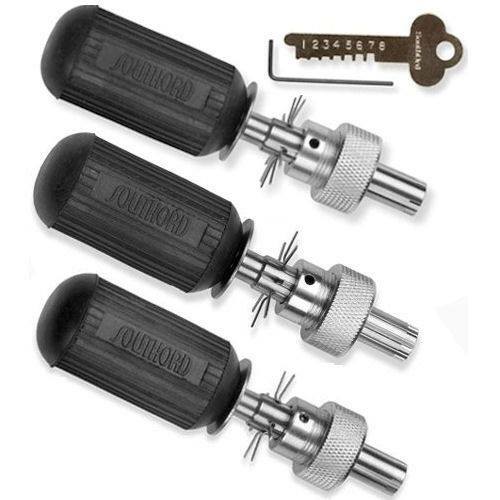 Started in 2004 UKBK has established itself as a premier Lock smith supply company. 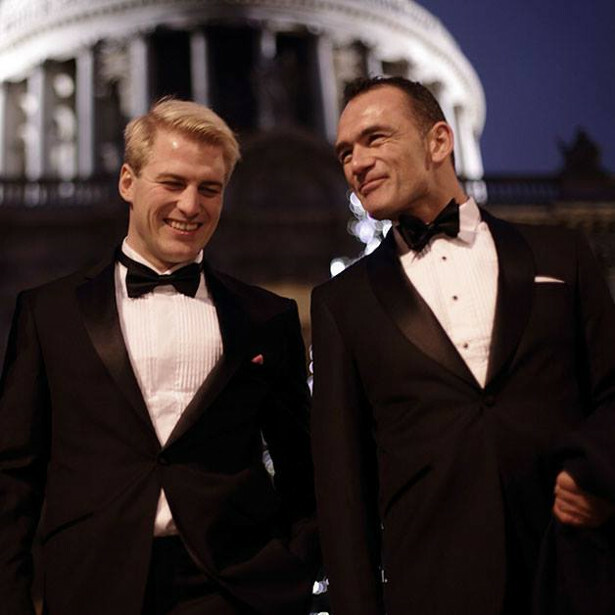 Well know for quality customer service always putting the customers first and foremost. 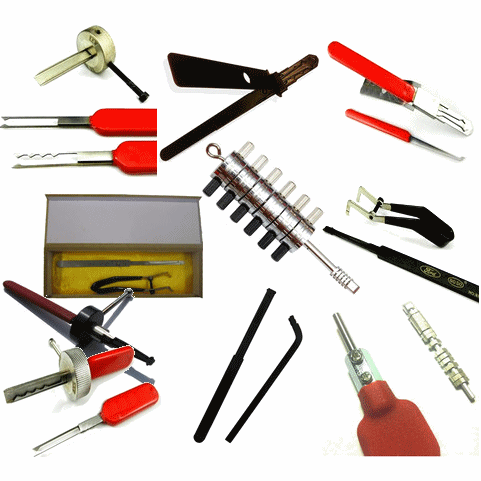 Lock picks, pick guns, bump keys, lock smith books, practice locks and many more lock smith tools and aids. 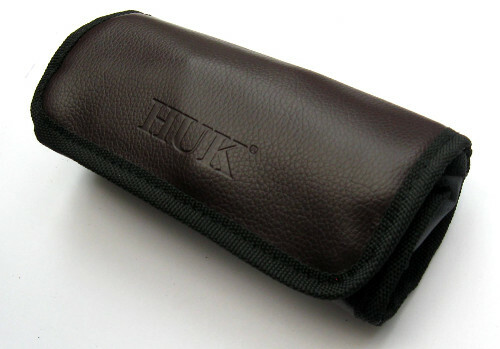 The latest and largest range of bump keys in handy sets and bundles that you’ll find useful. Great range of Skeleton Key options, including many exclusives, designed and manufactured by us. 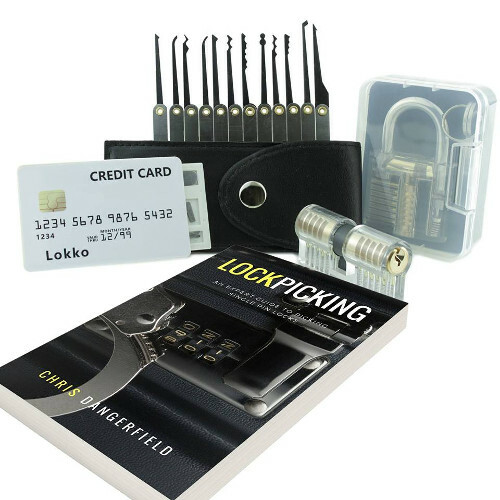 If you want to know how to pick a lock, this is a great place to start. 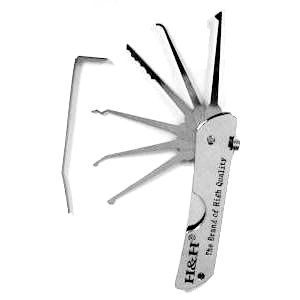 A clear or cut-away lock and a set of lock picks and you’re off. They also have some great Dimple practice locks is you’re feeling more advanced! 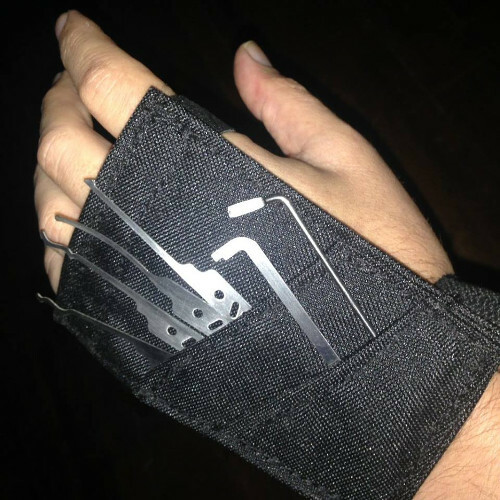 Give your lock picks the wrenches they deserve! Sparrows Monstrum Lock Pick Set. 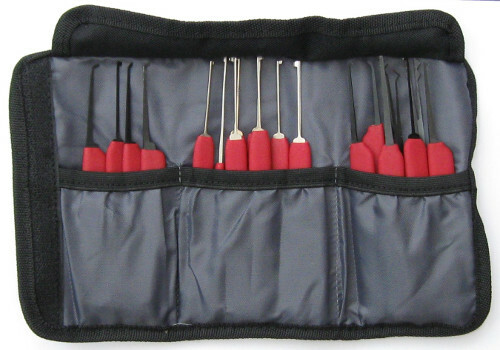 Nine highly polished Sparrows lock picks with thermo plastic handles each designed for unique single pin picking. Extra-large Octo rake. To make Tension wrenches flat bars with teeth for great tension holds and notches for Top of keyway tension. Typhon Camouflage pattern on our standard Sherman case. 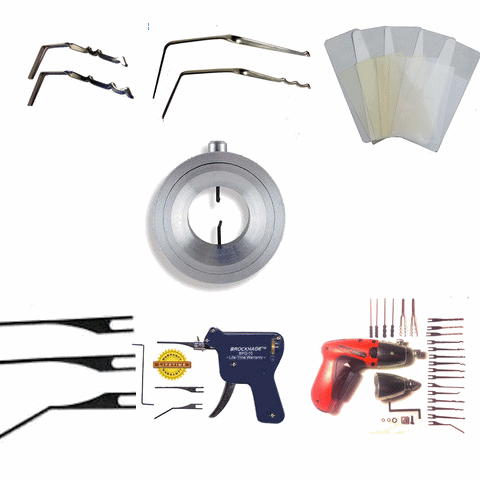 A selection of locksmith tools that will without doubt add to your ability to ‘know’ your locks and keys. Pongo – Hands Through The Forest is the perfect gift for both Mothers and their children! A former Gold Coast gym owner and aerobics instructor who endured a debilitating back injury credits orangutans with saving her life. Sue Feenstra had dedicated her life to attaining and promoting health and fitness until she sustained a back injury so serious that she was told she would remain bedridden for an undetermined length of t ime, possibly indefinitely. With the only hope of recovery a complicated surgery, Sue faced a difficult road ahead. 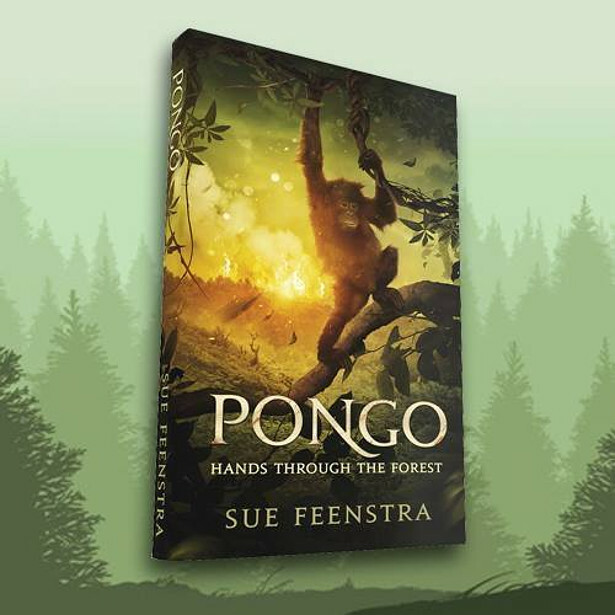 Instead of giving up, Sue let her mind wander through the forests of Borneo and created the children’s novella “Pongo – Hands Through The Forest”. Born in the “Year of the Monkey” and having always felt an affinity for our primate cousins, Sue has had the plight of the orangutans in the back of her mind for many years. She is genuinely perplexed as to why nobody has really delved into their world via a literary platform before now. “They are such a gentle species,” said Sue. “People have written stories featuring all kinds of animals, and I was waiting for someone to write one about orangutans, but it just never happened. 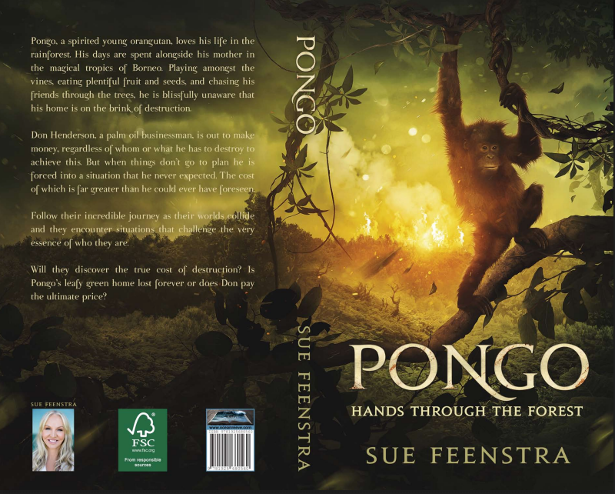 Aimed at young teens and set for release in June this year, Pongo is a fictional t ale about a young orangutan named Pongo who enlightens t he reader of the plight of deforestation threatening his species. A story set to educate and inspire those setting off on their own journeys into high school and beyond, Pongo encourages conservation and protection of our precious planet. Teaming with the Orangutan Foundation International Australia and its founder Kobe Steele, an inspiration and advocate herself, Sue has pledged 15% of all book sales to go directly toward bringing the orangutan back from the brink of extinction before it’s too late, and with the recent loss of Sudan, the last male white rhino in existence, this message of conservation could not come soon enough. Sue does not see herself as an activist or a conservationist; but an advocate. She genuinely wants to start a movement, and used what could have been the end of everything to kickstart a new beginning. Living proof that any situation can be tur ned into a positive with the right attitude, Sue believes that as we are the caretakers of the world, we must come together to protect those who cannot protect themselves. This is a sentiment shared by many, with even Her Majesty The Queen getting in on the act. In her recent ITV documentary with David Attenborough entitled “The Queen’s Green Planet”, Queen Elizabeth II expresses her love of the environment, and how she hopes that many generations to come will still be able to enjoy the flora and fauna of today. 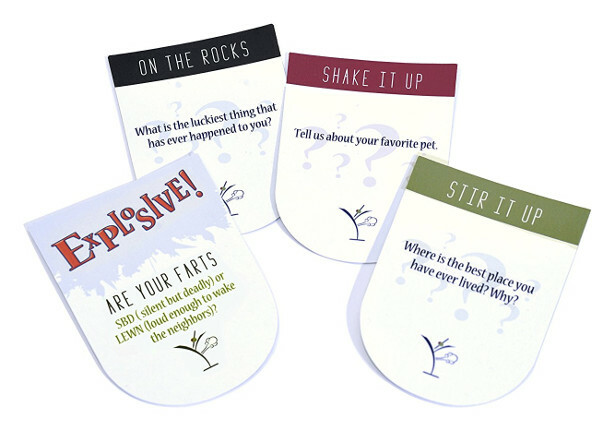 Two-time gold medalist & two-time national champion in the sport of women’s tackle football has created a football-themed card game called, Blitz Champz (www.blitzchampz.com), which is the perfect gift for dads on Father’s Day! 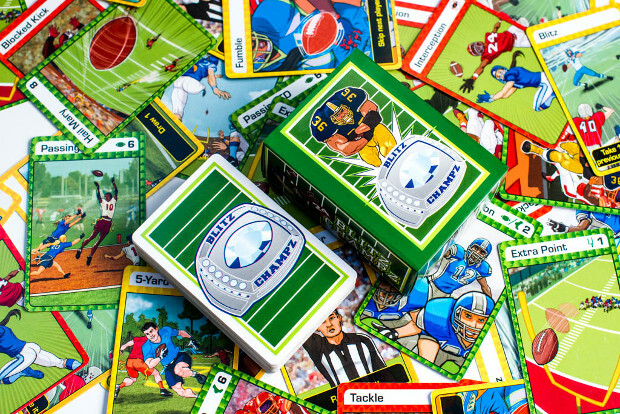 Blitz Champz is a fun and exciting card game based on the sport of American football. Blitz Champz can be played by 2-6 people at a time, and is suitable for ages 7 and up. For those dads out there who are sports fans, especially the ones who love football, Blitz Champz is a unique game that the entire family can enjoy. Blitz Champz is available on Amazon for $19.99. 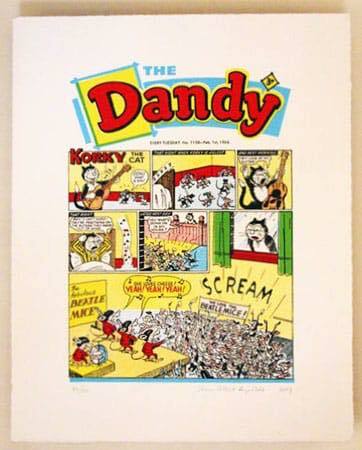 Every day this month we will choose another screenprint to discount by a third! 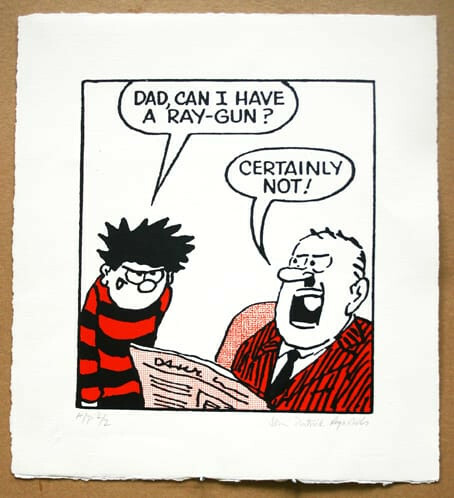 So far Comic Art have discounted three prints featuring Dennis the Menace. They’re all medium sized prints. 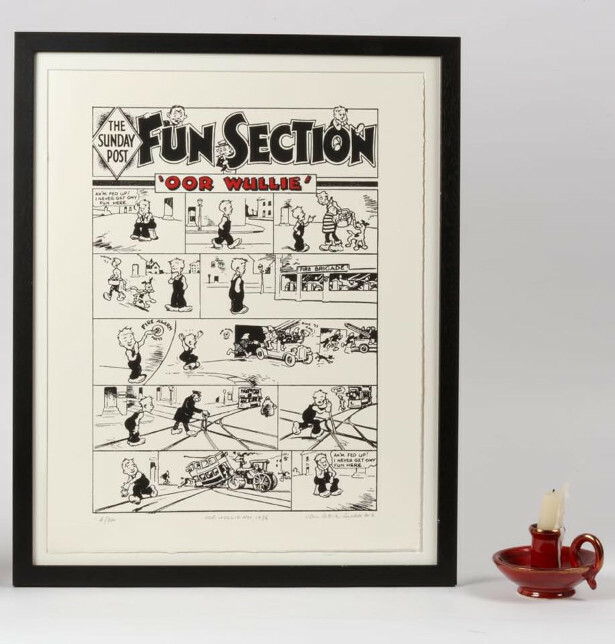 All were on sale unframed for £145 and are now on sale for £95. 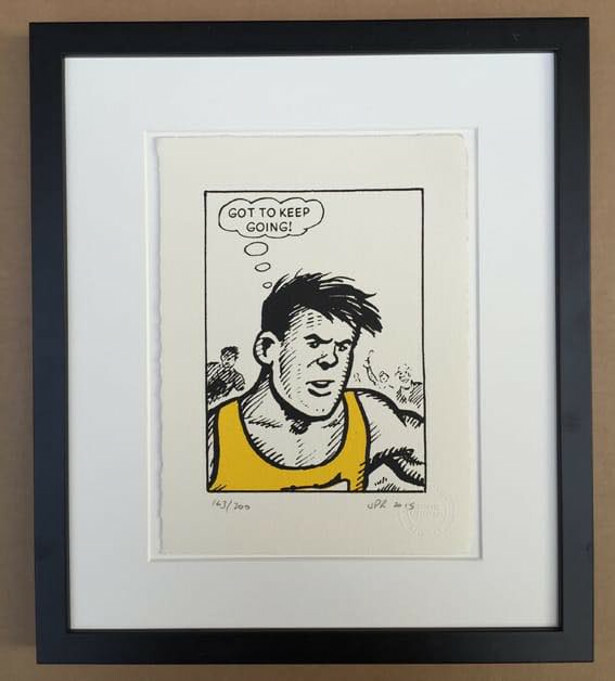 Add youself to their mailing list (sign up on www.thecomicartwebsite.com) for more … a new one every day. 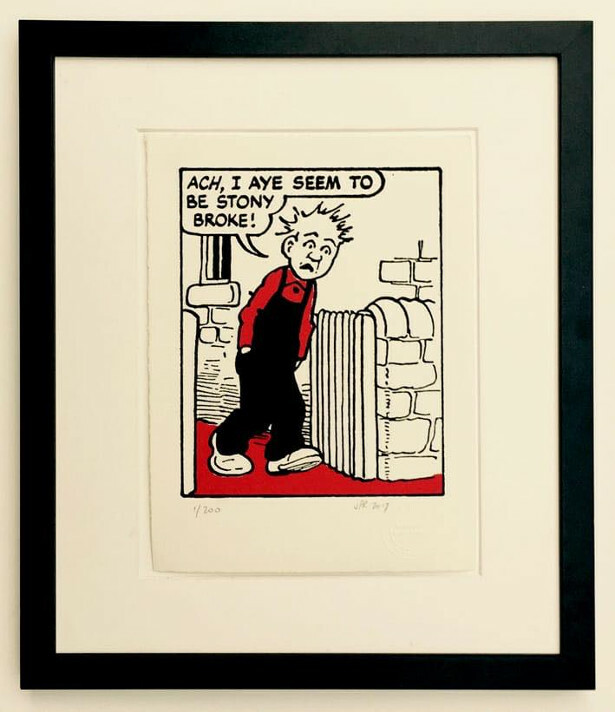 John Patrick Reynolds is the first screenprinter to get permission from Britain’s top comic publisher, DC Thomson, to use images from its archive of British comic characters from The Beano’s Dennis the Menace, The Bash Street Kids and Minnie the Minx to The Dandy’s Desperate Dan and the Sunday Post’s Oor Wullie and The Broons. 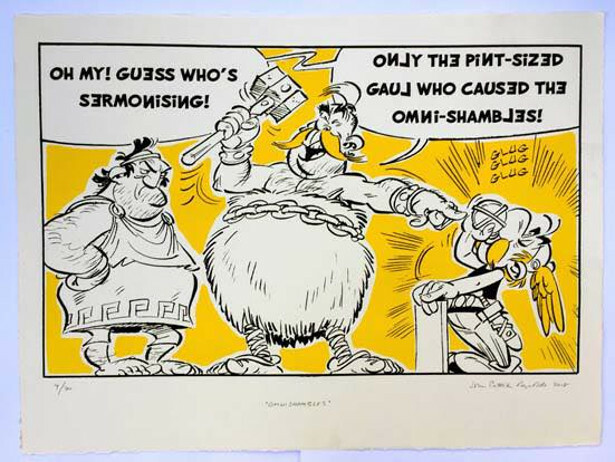 Comic Art are also the only screenprinter in the UK to work with French publisher Editions Albert Réné to make screenprints of its characters Asterix, Obelix, Getafix and Ideefix, not forgetting the dog Dogmatix. 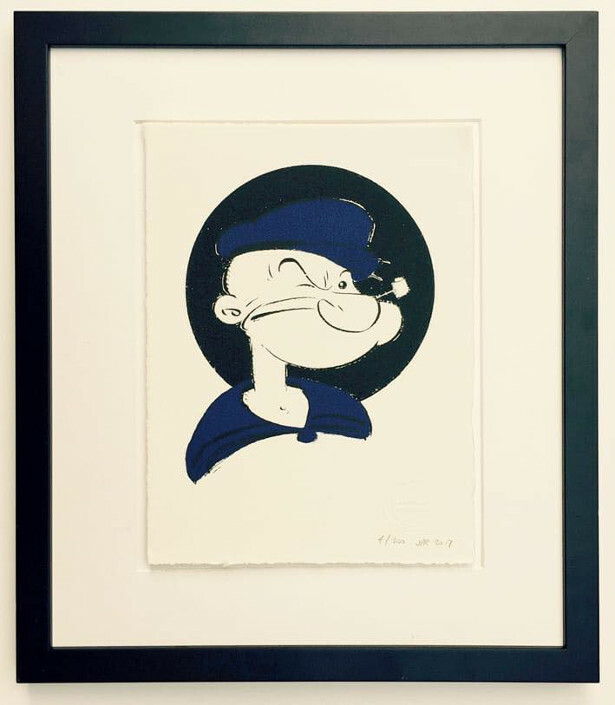 They have added US icons Popeye and Olive Oyl to their stable of characters. 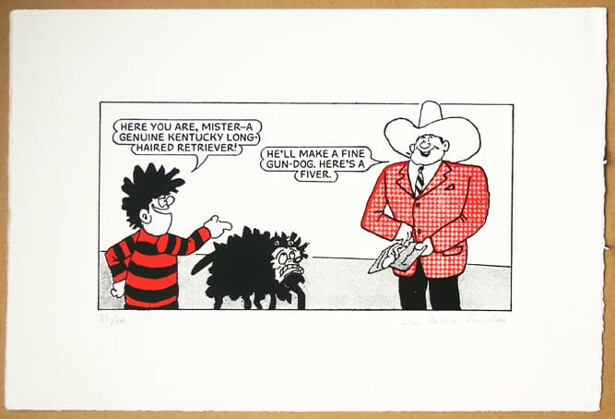 Comic Art screenprints are handmade byJohn Patrick Reynolds and his team in west London, on cotton mould-made paper which is milled in Somerset. 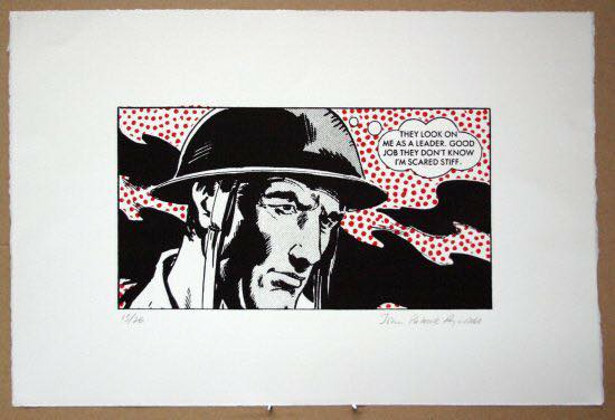 Please feel free to telephone John Patrick Reynolds, on 07980 844906 or message or email him at jpr@thecomicartwebsite.com. 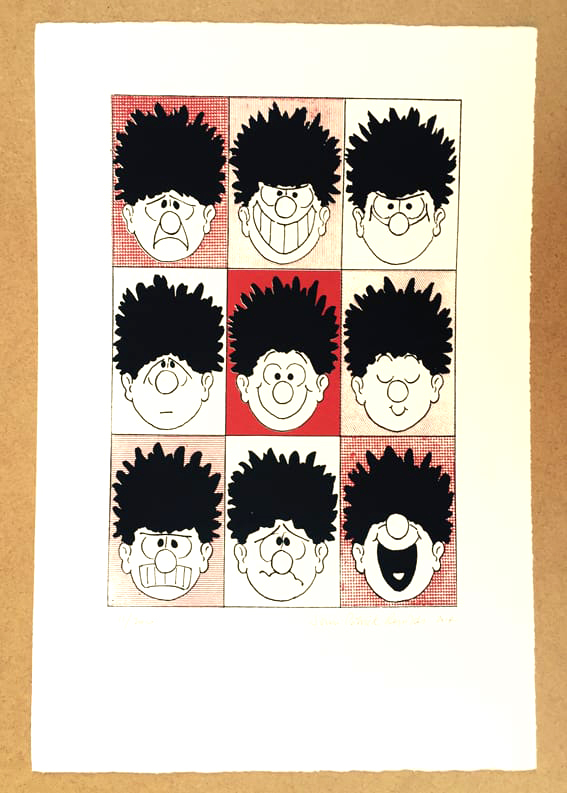 This is John in the print studio. You can see a screenprinting table in the foreground, a light box on the left and drying racks behind. He is holding one of the tools of the trade: a large squeegee, used for transferring ink from the screen to the print. Great for the fit (or wants to be fit) Dad! 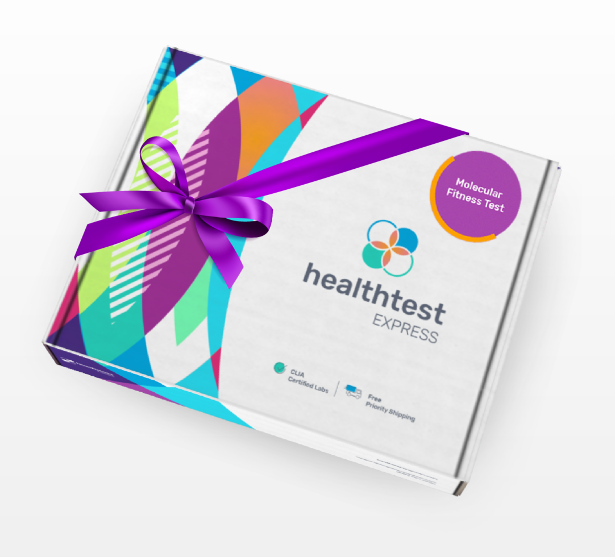 The Molecular Fitness Test Kit from Health Test Express is a new DNA test that measures 29 different genes and 33 SNPs to provide you with a highly detailed, unique-to-you fitness and nutrition plan. 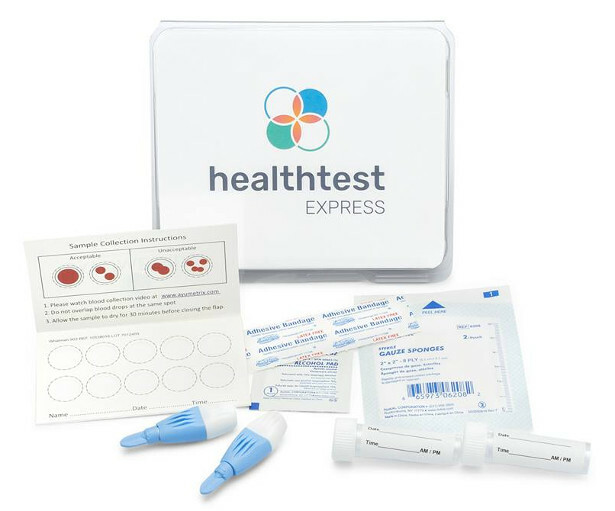 All from a simple cheek swab. 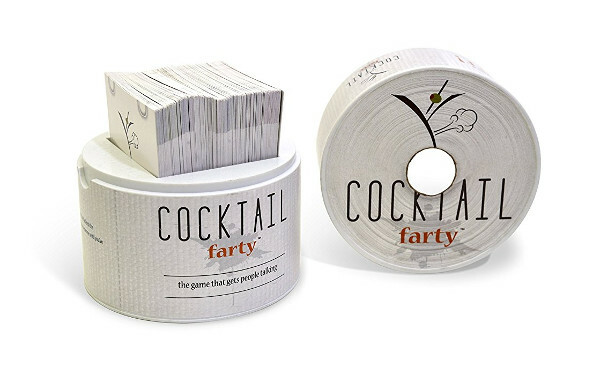 You can be sure that you win the prize for most unique gift! 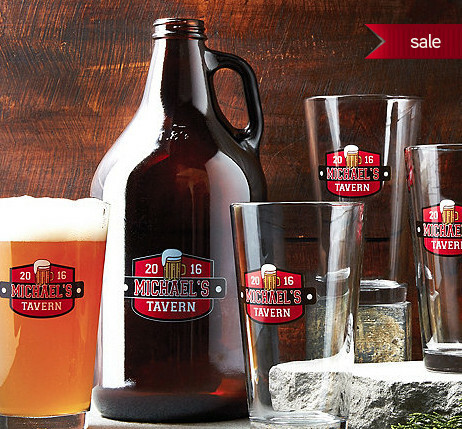 This lead-free pub-style set includes one 64 oz capacity growler and four (16 oz) pint glasses, and is a great idea for the dad who’s always wanted to make his man cave feel more like his very own tavern. 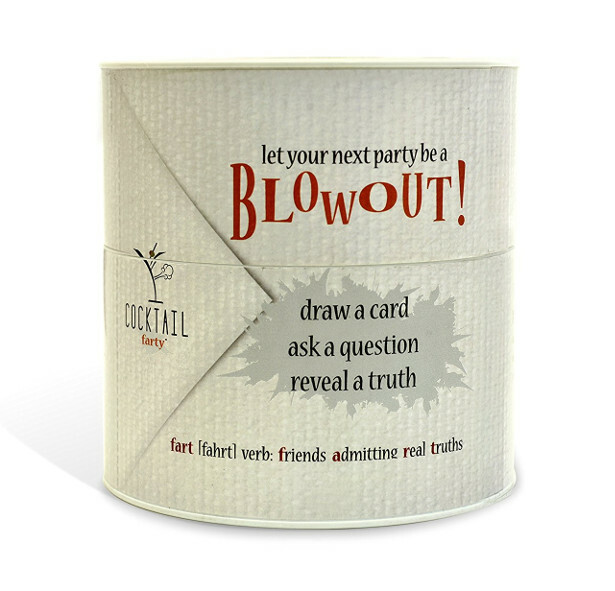 Personalize the set with a 4-character year and 10-character name. This striking cheeseboard offers mixed materials—gray polished marble and acacia wood, along with a set of 3 cheese knives (for soft, medium and hard cheeses, respectively) that stay in place thanks to small magnets. Each board has its own unique character due to variations in the marble, and the board can be personalized with up to 18 characters. Dads who love a good cheese spread will love a great way to showcase their picks, for Game Day or for wine & cheese game nights. This barware set offers a custom deep-etched design on four glasses and one whiskey decanter, with personalized engraving, and the design is custom for Wine Enthusiast. 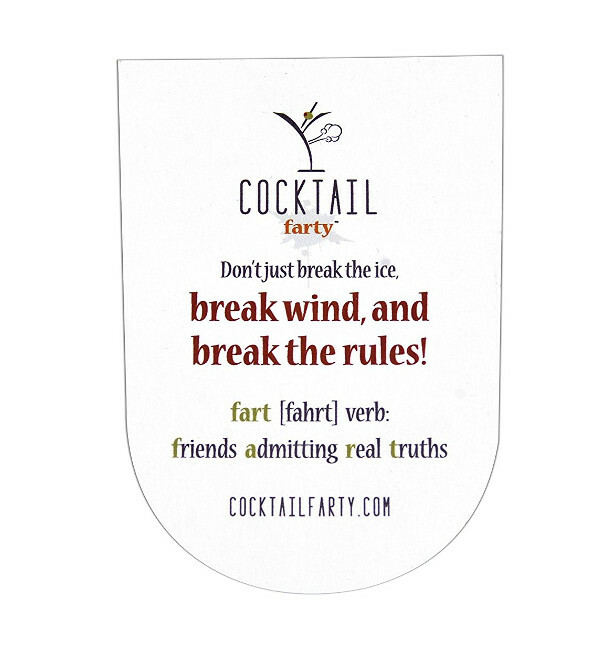 The glass is lead-free, and personalization can be up to 14 characters on first line and single initial on second. 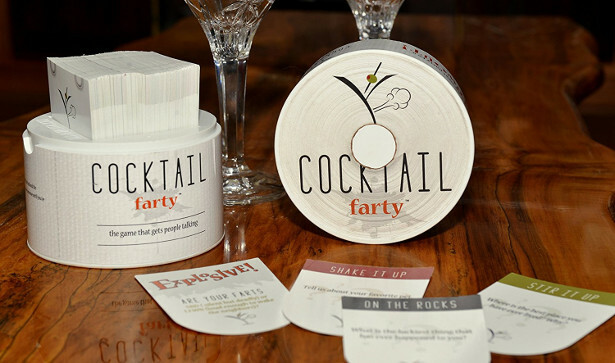 This is the perfect barware set for the man who wishes he could own his own bourbon distillery. LOS ANGELES, CA, 2018—Bonjo Coffee, avidly shapes the future of coffee by inspiring customers to obtain a unique coffee that is different from any other they have ever had; leaving an unmistakable taste in their memory. While educating each person along the way with our coffee knowledge and beliefs. Hailing from Italy, Joseph Bonauito, was one of the first to bring authentic Italian coffee roasting methods to the U.S. over 30 years ago. After partnering with his wife Maria, the duo officially established Bonjo in 2009 as an aspiration to duplicate Italian espresso in the United States. Bonjo Coffee is made using only the highest quality beans containing the most moisture allowing for a longer shelf life. 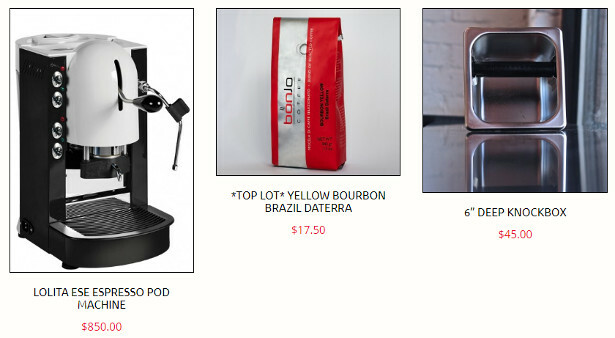 Utilizing top of the line roasters and Italian methods, Bonjo coffee produces a unique and unforgettable cup of coffee that caters to every palette. BonJo lives a culture of excellence that is based on giving customers what they need, a passionately crafted cup of coffee offering the best quality — exclusively for their taste buds. 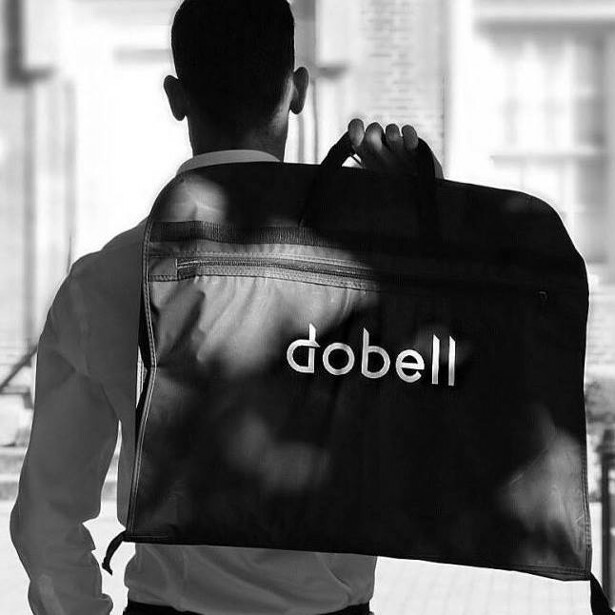 Now more than ever there’s a huge demand for people to be able to take on multiple duties effectively, we look towards tricks and tools to get it done. It’s something we have to learn to handle, being the Jack of all trades and Master of some! Our tech follows suit, from our phones – decades ago only being able to take and make calls – now a hand held computer, to accessories for the lack of space needing one device to do more without taking up more space or preferably shrinking. Efficiency and ease in the palm of your hands. 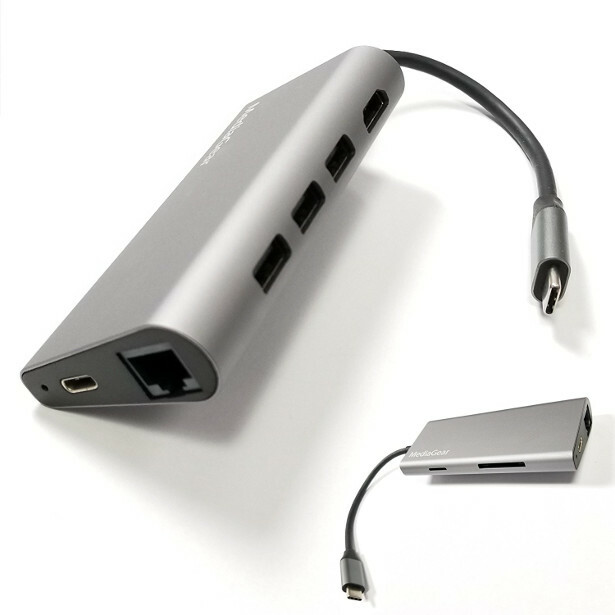 Maddock is MediaGear’s 8-in-1 Multi port Multi Functional USB C adapter that comes with 3 USB A / USB 3.0 ports for your various USB wireless or wired adaptive devices; a USB C port for Power Delivery or to connect more than one USB C device: your mobile phone to your laptop for both charging and data transfer; memory card reader ports for both microSD cards and SD cards reader to transfer all your important work or pleasure pictures from your camera or mobile device to your laptop or other storage devices; the RJ45 port or Gigabit Ethernet Network Adapter for those who want a more secure, wired and faster internet service when available; and a HDMI port to connect your laptop or smartphone to the HD TV for a better viewing and sharing experience at home, the hotel room, board room, lecture call or class room – wherever a usable screen is available. 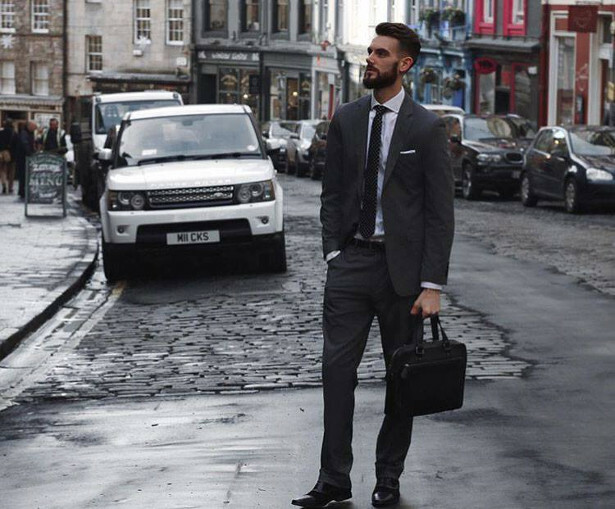 Light weight, sleek and pocket ready to travel with you for business or pleasure in this age of adaptation. 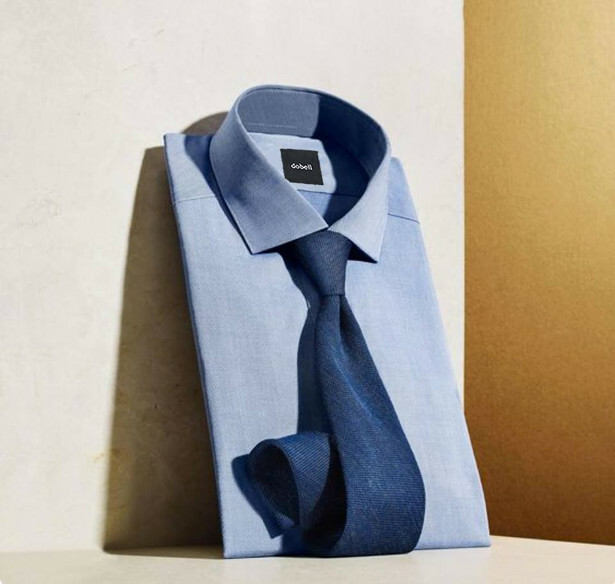 A unique gift for Father’s Day: a personal virtual style session with a professional stylist/wardrobe designer to help edit their closet, donate or sell what they do not use and to create a capsule wardrobe for their personal life and professional life because Dad has a personal style too. Out of the Blu by acclaimed author Vitali Vitaliev is out now. 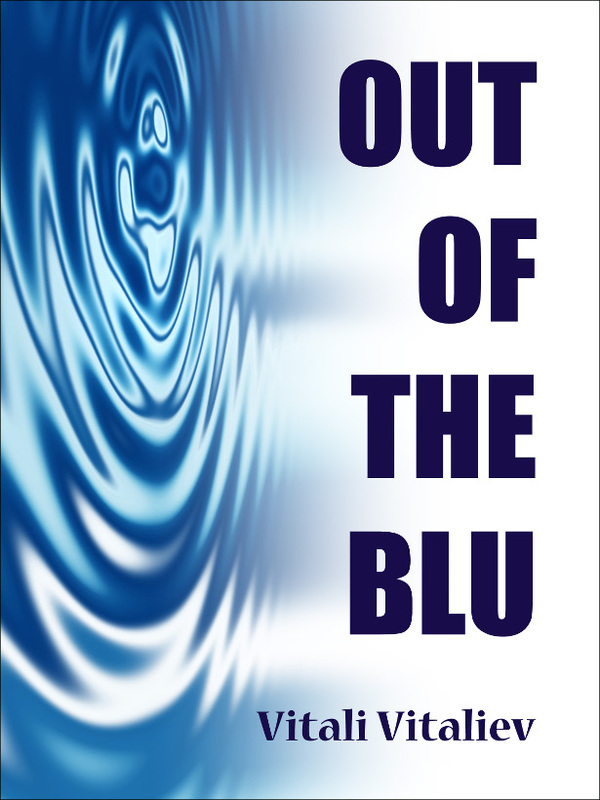 Out of the Blu is available now in paperback and for the Kindle. Buy Out of the Blu from Amazon UK. The science-fiction comedy thriller examines the idea of the multiverse via three almost identical couples. Two of the couples have slipped through the cracks from other universes and find themselves trapped in a world, which is almost – but not quite – like their own. Through the concept of the multiverse, the book explores the eternal question of how well do we know the ones we love. In their ever so slightly alien world, relationships between the characters become strained and new attachments are formed. The many facets of what makes humans exceptional are put under the microscope and Vitali seamlessly weaves serious topics and undertones with comedic episodes throughout the book. The thriller’s publication is very timely, occurring the day before Hawking’s final research paper relating to the multiverse was published in the Journal of High Energy Physics. The Hartle-Hawking theory examines the existence of multiple universes, proposing that instead of being radically different, they could in fact be quite similar to one another – the exact idea mirrored in Out of the Blu. Vitali Vitaliev was born in Kharkiv, Ukraine. 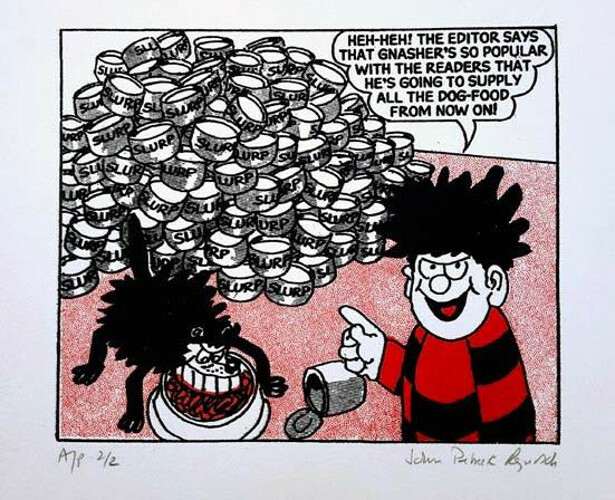 He first made a name for himself in the then Soviet Union, writing satirical journalism in Krokodil and other publications, exposing the activities of organised crime and the all-permeating corruption in the collapsing country. His fearless stance ultimately led to his defection in 1990. 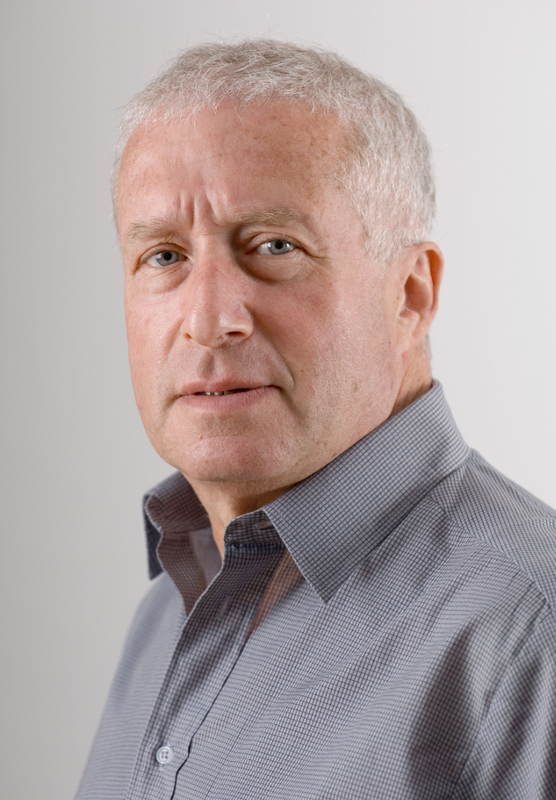 He has appeared regularly on TV and radio in the UK (Have I Got News For You, Saturday Night Clive, After Dark, Start the Week), was a writer/researcher for QI and has contributed to newspapers and magazines all over the world. He is the author of thirteen books, written in English and translated into a number of foreign languages, including German, Japanese, Russian, Finnish and Italian. Vitali has recently won the Gold TABBIE Award for the Best Regular Column. Thrust Books is an independent publisher specialising in digital books – both ebooks and print-on-demand paperbacks. We sell our titles through online stores (Amazon, Apple and Kobo). 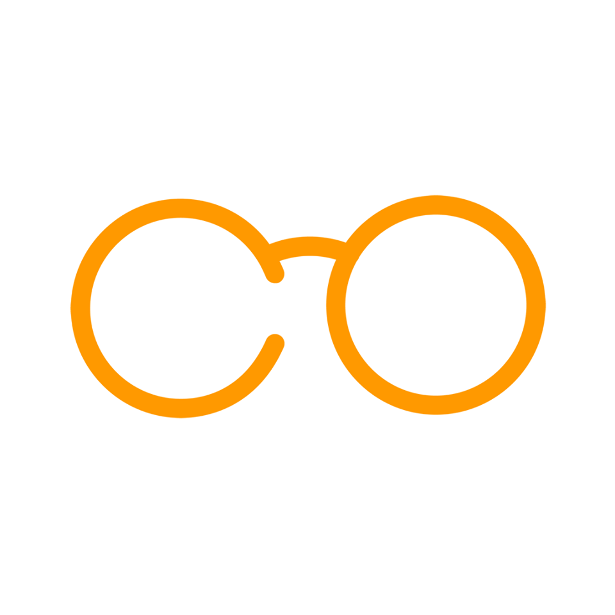 We publish new work and republish classics that have gone out of print. 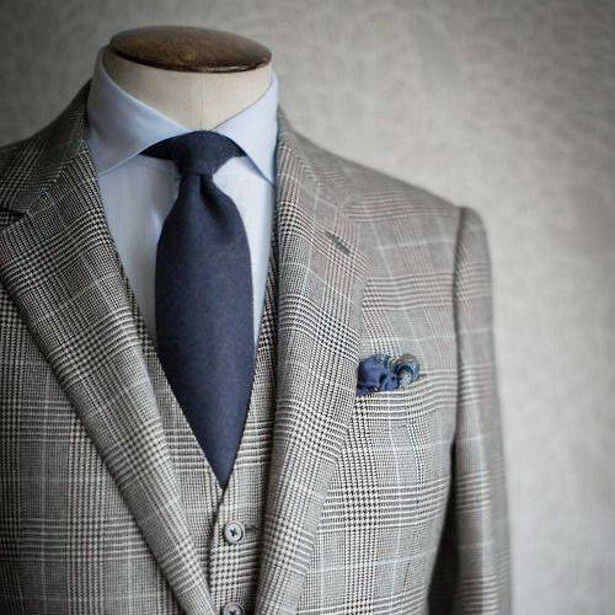 Our goal is to push the envelope with creativity, imagination, quirkiness and excellence. Our star author is journalist and writer Vitali Vitaliev. Thrust Books has republished many of his titles, including Passport to Enclavia, Borders Up! and Little is the Light. We also publish Vitali’s fiction: fantasy novel Granny Yaga and science fiction comedy thriller Out of the Blu.